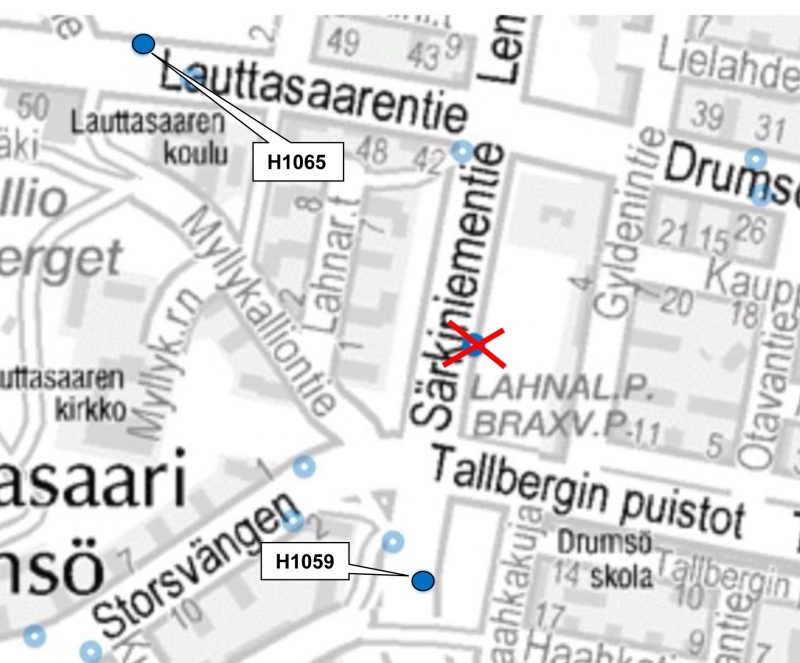 The "Lahnalahti" bus stop H1199 located on Särkiniementie in Lauttasaari is closed from 4 July to 15 August. The closest stops are H1065 and H1059. The stop is served by routes 501 and 501V.